These are really pretty floral button covers/tops. 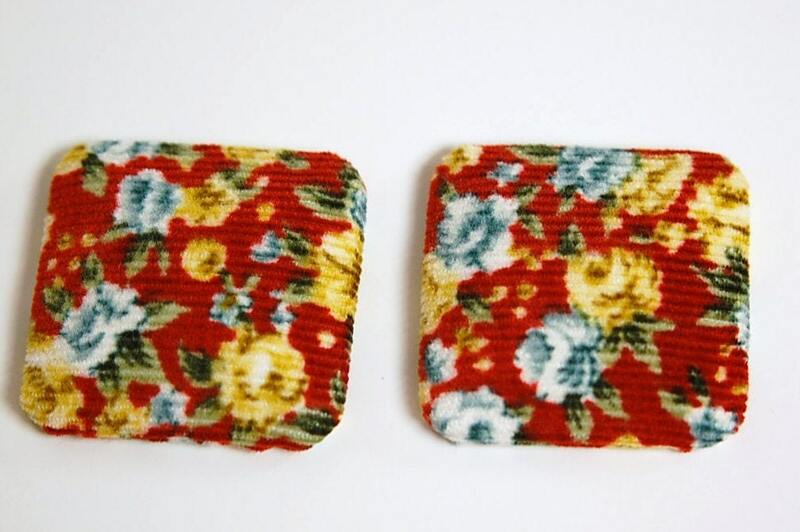 These vintage red corduroy pieces have an all over floral design. These have a metal back. These are square and measure 35mm. You will receive 2 pieces. I have these in other colors and sizes.